In cases where significant bony changes have accompanied periodontal disease or where pockets remain even after scaling and root planing, laser-assisted periodontal surgery is performed to reduce pockets and improve the contour of the bone and gums around the teeth. This procedure involves reflecting (folding back) the gum line to create access to adequately treat the root surfaces and the supporting bone. During periodontal surgery, certain regenerative procedures, such as bone grafts and guided-tissue regeneration, can be performed. The ultimate goal is to reduce pockets and improve the attachment level to the teeth. 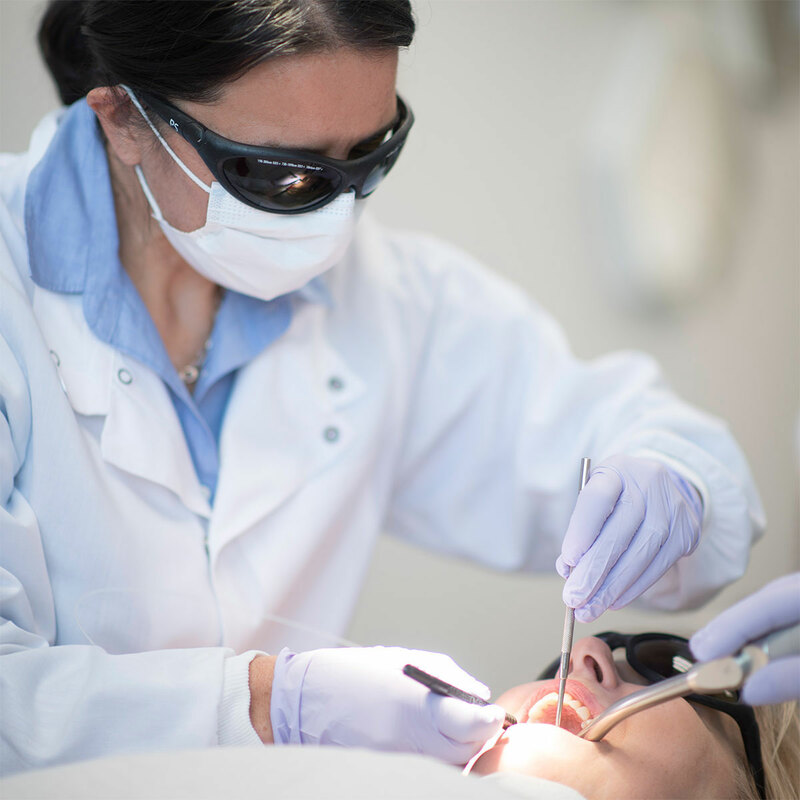 Periodontal surgery is typically done under local anesthesia.